Lake level; maybe down for winter pool. Water Temperatures; With warming trends (low 50′s to low 60′s), with severe cold fronts (low to mid 40′s). Late December – Mid 50′s. Its hard to believe Alabama’s second oldest man made impoundment (Lay lake is the oldest, impounded in 1914) will be 100 years old, in the year 2016. Impounded in 1916, Bankhead Lake has shown generations of anglers some very memorable times for the past 90 plus years. 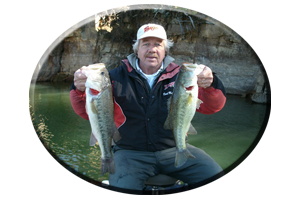 Today, Bankhead Lake is still an exceptional lake and a lake that has proven to bass anglers of all ages…it can still produce numbers of bass and at times some “very big bass” during any season. Winter to many anglers, often means it time to park the boat, until spring arrives. Some would-be wintertime anglers just hang up their rods and head for the nearby woods for a little deer hunting and turkey hunting. Occasionally they may even be coaxed to bring the boat out of hiding, by an enticing week-long, winter warming trend. But let the next cold front arrive and they again park the boat, awaiting better weather conditions. 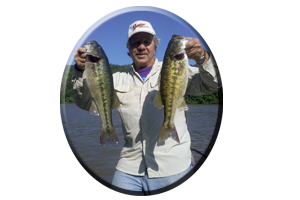 As a teenager I fished Bankhead lake for largemouth bass and spotted bass in every season, under a variety of fishing conditions. I still fish the entire lake in every season. Some of my most memorable trips I made to this age-old Warrior River impoundment when I was younger, were the ones on those days when I suffered through a severe wintertime cold front. Not that good to most anglers. But often to my surprise I stumbled onto that massive school of “bunched up” wintertime bass. At times I even found some big schools of “big bass” often bunched up in some very unpredictable locations. When its real cold (like in the mid-to-upper 20′s), this 9,200 acre lake (only 20 miles from the Birmingham city limits), can get real tough, like any man made impoundment during a severe wintertime cold front. This is the time — when any angler that claims to have just a little bit of sanity — knows from past wintertime experiences, its best to just stay home. You may get bites (including frost bite), but you will suffer and earn each bite you do get. Air temperatures of 20-30 degrees for several days can suddenly lower water temperatures to their wintertime lowest, often close to 40 degrees or even worse, lower. 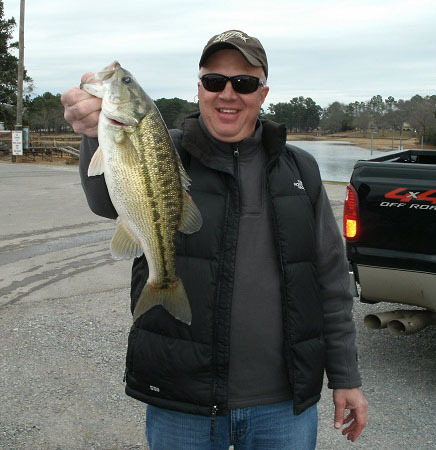 This is when Bankhead lakes bass become almost dormant. They do not want to expend a lot of energy chasing down a meal and it often takes dropping a lure right in their face to get a response. 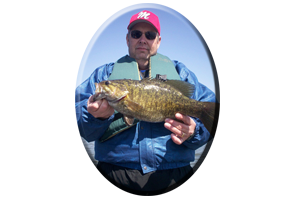 There are always a few good days to go fishing during winter on Bankhead Lake. The anglers that can pick his / her days can have an advantage over other weekend anglers, those that have to hope for decent weather when they can get the time to go fishing. Winter rains can fool an angler into thinking he / she is just wasting time (and getting wet without a good rain suit and good pair of boots), especially when the main lake is muddy and most major feeder creeks feature stained-to-muddy water conditions. Always keep in mind there are dozens of boat launches to be found all throughout the 77 miles of Bankhead Lake waters. From Smith Lake dam found far upstream, to lower Bankhead Lake Lock & Dam, you can always find some decent water to fish. If you apply a little research prior to your trip. * This includes the incoming waters of the Little Warrior River that junctions with the old original Warrior River channel, at the famed boat launch called Howton’s Camp. 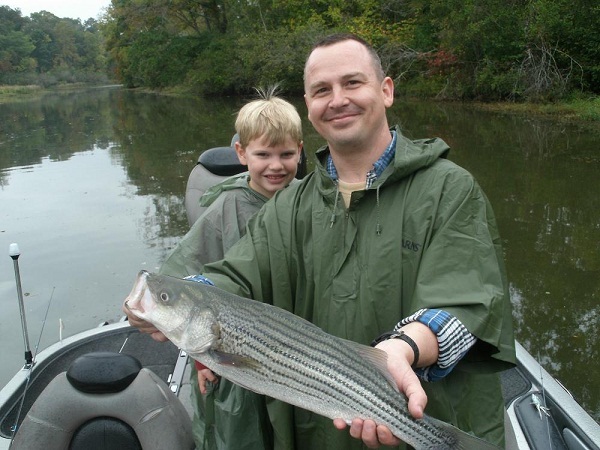 Cold, muddy water conditions are the worst conditions an angler can face during winter, especially on those days following several consecutive days of heavy winter rains. Current will be very evident on the main lake. Up in the lakes many feeder creeks sudden swift incoming rain waters, can display waters flowing up on the banks. So as the rains occur, anglers can concentrate their efforts in lower lake until it too gets muddy. 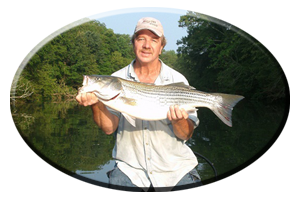 Then they should change directions and fish the mid-to-upper portion of the lake.This will be the first place to show the first clearing water conditions, other than far up in some major feeder creeks. Unknown to many anglers (those that just never venture far up in one of Bankhead lakes many major tributaries), there can be loads of untapped schools of bass to be found with a little exploring. The far upper reaches of these incoming feeder creeks are normally cold and feature slack water conditions during the dead of winter. But as most wintertime warming trends come to an end, they are often followed by warm winter rains pouring in the lake for a day or more. This incoming rain floods the creeks backwaters and often makes the creeks hard to fish for a few days. The fish are there feeding on incoming edibles washed in by the heavy rains. They are just hard to locate with fast moving water and muddy water conditions. But let these small feeder creeks clear up just slightly and the incoming current gets back to “almost” normal and you can discover a fantastic day of fishing in a secure wintertime location, often with little or no company. Lures? You know your favorites, try em’ all! 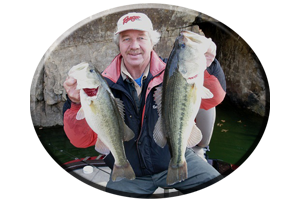 Even topwaters, spinnerbaits, suspending jerkbaits, crankbaits and jig combos all work during the winter months on Bankhead Lake’s 3,969 square miles of some great looking water!